Elixir is a system information App for android with highly configurable widgets support. 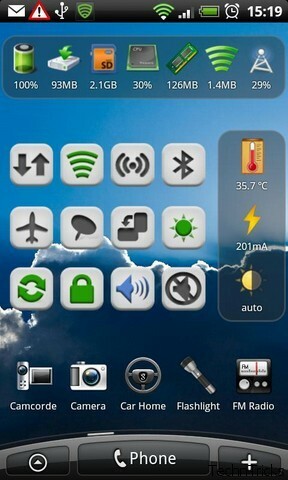 This app will display Battery and CPU Usage, Memory Usage, Display, Mobile Network, Wi-Fi, Bluetooth, Sync, Sensors etc. Android Central spotted a tweet from Direct TV, confirming the news that some Android handsets are going to see HBO Go Streaming service activated on May 2nd. There is no word as of yet as to which handsets will see the service, but you can probably guess that it will be the newer, higher end Android handsets (HBO Go requires 3G).